If you don’t know, Judd Heape, the Senior Director of Product Management (Camera, Computer Vision, and Video) at Qualcomm, recently said in an interview that in late 2019, we would see phones with up to 100MP cameras. It shouldn’t be a surprise since we already have phones with 48MP cameras and that too in the budget & mid-range segment. 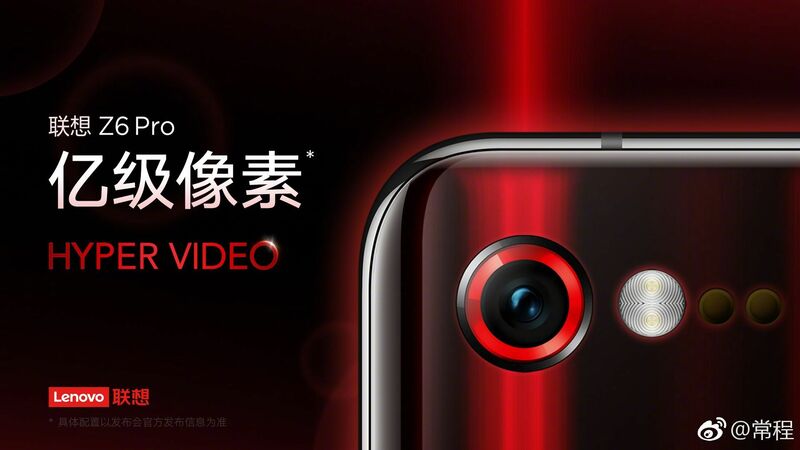 The company is teasing Lenovo Z6 Pro, and it will be a flagship from Lenovo for 2019. The phone is launching in April. Today, a teaser from the company’s Vice President suggested that the phone would have a mind-blowing 100 Megapixel camera. As the image above shows, the Z6 Pro would probably have a single rear camera. The text in Chinese (亿级像素) translates to “Billion Pixels,” i.e., 100MP. Now, there is no 100MP camera sensor in the market for smartphones, so we still have to wait. Moreover, Lenovo is one of those brands whose teasers and claims you cannot trust unless the product goes official. Still, if the Lenovo Z6 Pro launches with a 100MP camera, then this would be impressive.